The Joint Opposition has decided to submit a letter to Speaker Karu Jayasuriya demanding that Tamil National Alliance Leader R.Sampanthan be removed as the Opposition Leader of Parliament. “If the Speaker does not respond positively, the JO is even prepared to submit a No-Confidence Motion against the Opposition Leader,” a senior JO member said. MP Dinesh Gunawardene said, the JO will agitate both nationally and international for the removal of Sampanthan as he has failed to exercise his duties properly as the Opposition Leader. 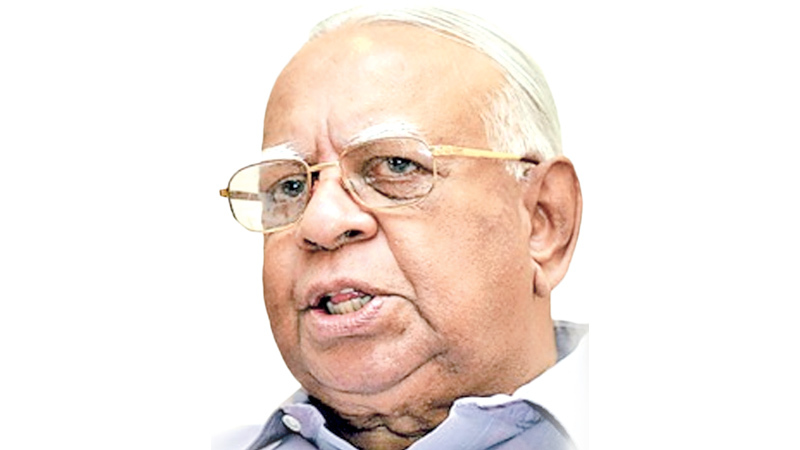 Citing Sampanthan’s latest decision to vote against the JO sponsored No-Confidence Motion against the Prime Minister, Gunawardene charged that Sampanthan continues to back the government and especially the Premier blindly in order to save his own position. Gunawardene said that Sampanthan has failed to galvanise the Opposition in a constructive manner in order to fight the shortcomings of the government. He said the Joint Opposition should be granted the post of Opposition Leader without delay as it had the required numbers in Parliament and the will to fight against the government’s flaws. Meanwhile, former Minister Prof; Tissa Vitharana told Journalists in Colombo that Opposition Leader R. Sampanthan should be removed with a no-confidence motion (NCM). Addressing a press conference organized by Joint Opposition at the N.M. Perera Memorial Center in Borella yesterday, Vitarana said it was high time that Samapnthan is replaced with a JO member to have a more vibrant and productive Opposition in parliament. Sampanthan was designated as the Opposition Leader of the eighth parliament in 2015 after the present government came to power. Following the decision taken by the Opposition Sri Lanka Freedom Party (SLFP), the main constituent party of the UPFA, to join the majority United National Party (UNP) to form a National Government, the TNA with its 16 seats in Parliament became the majority.